Planning to go camping with family and friends over the weekends? You may be looking for new tents, folding tables, chairs, flashlights, stove, bag and gears. If you're one outdoor junkie who loves to go camping all the time, it's best to invest in quality-tested items but you don't want to go and break the bank as well. 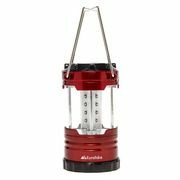 Here, we bring you the cheapest price you can find on camping essentials from Tesco, Halfords, Argos, Clas Ohlson, Mountain Warehouse and Gearbest. Look for awesome special offers such as free click and collect and discount codes of up to 30% off. Regatta - Kruza Padded Folding Camping Chair with Storage Bag - HALF PRICE! Get to explore the beauty of nature in places with peaceful ambiance. Take that long overdue trip and treat yourself and your family to a fun camping retreat. It is amazing how camping can greatly affect our body as we distance from the modern world’s stress. So whether you want to go with your friends, colleagues, family, lover or even by your own, it’s a must to have a complete setup –we got you on this. Be adventurous and plan on your next camping getaway without spending loads of money on camping essentials. Our group of bargain hunters are always on the lookout for the latest and hottest sales and offers on camping necessities from trusted UK retailers such as Go Outdoors, Halfords, Tesco, Argos, eBay and Blacks. Get to push your penny pinching game up a bit with the help of voucher codes, discount codes, and coupon codes our money-saving experts have found and verified online. 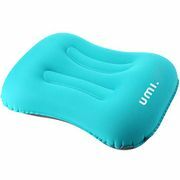 Reduce stress through camping and amazing finds from Latest Deals on cheap camping essentials. Appropriate Clothing. This really depends on the weather, but it is ideal to pack a poncho just in case it rains. GPS receivers (or maps and compass). It is important to know where you’re heading to. Bring a GPS receiver on your escapade. There are multiple GPS receivers in the market that are intended for hiking and camping that you might find useful. Lights. A headlamp is ideal for hands-free operation. It has long battery life, making it perfect for emergencies. 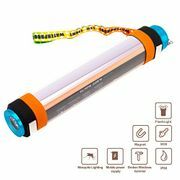 A flashlight can be a good substitute for a handy powerful source of light. First Aid kit. If your body is maintained by certain prescriptions, you know you cannot just leave them behind. Also, bring important meds that you can use in case of unforeseen allergy attacks, and the like. Multipurpose tools. A swiss knife is idyllic for camping. It is handy for emergency needs, preparing food, gear repair and more. Food & water. We should not miss out on what our body needs. Food and water are necessary. Fire. Depending on the type of camping you’ll be having, you oftentimes need tools that can start a fire for cooking (example lighter, matches). A portable stove can also be a good alternative if you want efficient food preparation. Camping Tent. This is where you rest, keep your stuff, and more. This is one of the most important must haves whenever you go camping. Where Can I Find Deals on Camping Tents or Equipment? Halfords. Find matchless bargain on tents and cheap camping equipment at Halfords camping. Get to save up to 90% on select tents, camping furniture, camping cooking equipment, air beds, coolboxes, gazebos & sleeping bags on their Clearance Sales. If you want to send in that order and pay at a later time (upon delivery), you can with Halfords. For orders over £40, you can get their next day delivery option. Tesco. Tesco has a wide range of outdoor essentials, perfect for hiking and camping. Get some decent money off on their sale offers. For example, at a limited time, you can purchase Regatta Compact Electric Pump at just £10 instead of £20, and microfiber towels at £8.99 instead of £17.99. Pack away for that trip without paying the full price of the item. Millets. If you want to save on tents, sleeping bags, camping stoves and other camping essential purchase, you might want to check out Millets best prices on camping equipment. Get up to 50% off on brands like Outwell, Eurohike, Vango, and Berghaus. What’s best is that you can use vouchers on top of the discounted sale price tags to get those additional savings. Blacks. Find offers on top outdoor brands such as Jack Wolfskin and The North Face at Blacks. With hundreds of camping buys to choose from, you’d be sure to find too-awesome-to-miss-out deals. They offer discounts of up to 50% on clearance sales. Also, look out for their outdoor clothing sale for men and women and enjoy price cuts on your camping outfit. Go Outdoors. Go Outdoors UK offer multiple deals on outdoor gear in their Outdoor clearance sale and tent sale. Stay tuned for their monthly offers where you can enjoy up to half the price savings on selected lines. Shop beach tents starting at £7 online and in store at Go Outdoors. Lessen Anxiety and Depression. This nature break away from our typical routine allows our mind to develop clarity. According to research, green sceneries can dramatically decrease depression by over 70%. Decrease Stress Levels. Stress from work can be set aside, or better yet, removed from your system just by simply being outdoors, away from technology. Sitting in front of a campfire with good company is an awesome and relaxing way to relieve stress. Exercise. You get to walk from different points instead of the typical office routes, you get to take a dip on the pool and enjoy other physical activities with the camping site’s amenities, and more. All of these require you to move thus burning calories while enjoying the moment. Our cardio system benefits greatly from exercises like the ones mentioned. Have Fun With Friends. This break away from the ordinary gives you the opportunity to be stripped off from regular distractions. This allows you and your company to socialise without having to think of the stress typically caused by disturbances. Release Serotonin. Just to be in an area where trees surround you is an awesome start towards the road of choosing to be happy. Your brain will be able to function well with its increased oxygen levels given off by trees. It allows the body to release serotonin, lowering your stress level. Before you get too excited for that camping or festival getaway you’re planning on taking, make sure that you have your tent with you. There are various types of tent and each has their own pros and cons. It’s best to bring the type of tent that best suits your needs. Here are some of the widely used tent types in the UK. Ridge tent. This basic tent comes in different sizes and is widely known to be durable. Though its slanted walls create smaller space and headroom, the pros outweigh the few cons. Pros: This tent remains steady even in bad weather or strong winds. It is easier to set up compared to those types that comes in complicated set up instructions. Dome tent. One of the most commonly used tents in the UK. This has a rectangular base, typically has three poles arching on the top, and usually comes with a removable ground sheet. This tent struggles in strong winds and weather. Pros: Not only is it easy to set up, it is also one of the cheapest types you can find. It is versatile and it creates enough space. Semi-Geodesic or Geodesic. This is the perfect companion when it comes to extreme camping. Geodesic and semi-geodesic tents are usually way pricier than the other types. Pros: It has a superb interior & good headroom, and can withstand extreme camping weathers. The price is after all reasonable with all of the remarkable pros of this extra durable tent. Tunnel tent. This tent type is one of the most common family types used. It comes in various sizes and styles and has larger useable space compared to domes. It takes time to set it up though. Pros: You won’t need to worry about protection if you settle in a windy spot. This tent has more room than the average tent capacity and is very comfortable and spacious. Ideal for family trips. Family Tent. This is also known as vis-à-vis, meaning face-to-face. This tent is divided into sections allowing more than one sleeping compartment. This can be very tricky when it comes to setting it up and is quite heavy for backpackers. Pros: It creates privacy and provides comfort. It has a large capacity and features a spacious area for common use.